What do Stockholm, Paris, Los Angeles, Glasgow and Utrecht have in common? 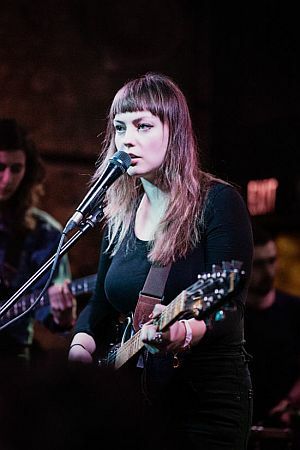 Well, all cities were recently visited by the graceful singer-songwriter Angel Olsen. Olsen released her sophomore LP, Burn Your Fire For No Witness, this February and has been on tour ever since, playing night, after night, after night. The EKKO stage in Utrecht (The Netherlands) was the next in line for Olsen. And since the album made it to our ‘not to be missed in 2014’ section, a visit to this gig just couldn’t be resisted.